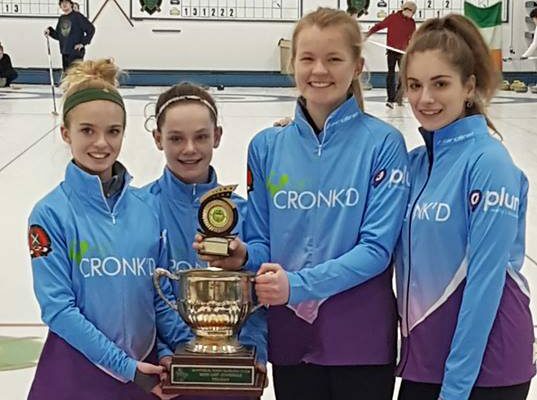 The North Grenville Curling Club U15 Girls team won the Montreal West Club Junior (U21) Mixed Invitational Championship. Pictured, skip Rhiannon Beckstead, third Kaitlyn Dumoulin, second Emilie Padbury and lead Mya Sharpe. Photo: Facebook. 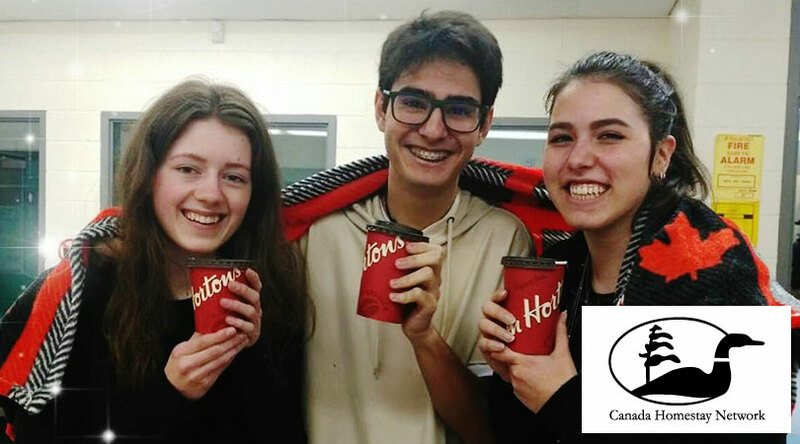 The North Grenville Curling Club U15 Girls team celebrated a big win. 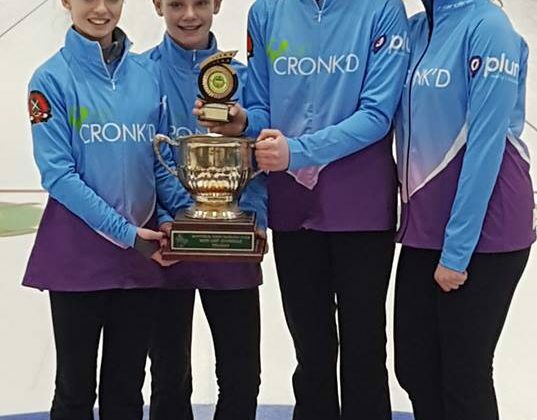 The team claimed the Montreal West Club Junior (U21) Mixed Invitational Championship. The tournament was held at the end of January. Skip Rhiannon Beckstead, third Kaitlyn Dumoulin, second Emilie Padbury and lead Mya Sharpe were undefeated in all five games. Coach David Roy says the team definitely has ambitions. He says the girls want to become the next Rachel Homan, renowned Team Canada skip. The girls faced off against an older boys team in the finals, winning 11-0. Roy says curling is very much a team sport. He says sweeping is just as important as taking the shot and communication is key. Roy says everything came together for the team in Montreal. People can check out the U15 Girls team in action at the North Grenville Curling Club on February 23 during the annual U15 Bonspiel.